I wasn’t prepared to weep at 6 in the morning, but here we are. What if John Ward called a game for our #1 Vols? Watch this video with audio. Remarkable. Gotta find a place where he used “bottom”, classic John Ward. My twins are too young to have listened to JW call games. I’ll have to did out the cassette player and play the NC game my oldest recorded for me. AWESOME! Brings me back...waaaaay back! Wow, I couldn’t even imagine it but that was awesome! Best there ever was. RIP Mr. Ward. That gave me chill bumps , took me back to my bedroom in 82 . I would put my radio beside the bed and just listen to that wonderful voice . He made the game come alive and you felt like you were there. Man I miss John . Nothing .... but the bottom of the net! Justice with the ball, he stops, pops...it drops. Jackson from the corner..bet me....PAY ME! Jackson working on Connor. Wants to get the ball to King does, King moves, King drives, King lays it up. Good by KING! 1000000x better than hearing "money" over and over again. That was awesome. Sure brings back some great memories. I am so glad that John's last game was the National Championship victory. I sure miss his voice. Thanks for the memories. Takes me back to 1965. "Bone at the top of the key, passes to Williams, Williams thinks about it, fakes to the right, dishes to Schofield who SLAMS"
"I'm sorry, that was Turner to Williams"
“Nothing but the bottom of the net”! I can't watch a UT basketball or football game without hearing him call the play by play in my head...The greatest EVER! One of my favorites would be when Ward would troll a bit, especially when he knew the game was on TV. For example someone would be shooting a free throw and it would rattle around and finally go in, and Ward would say "Nothing but the bottom of the net!" Wow! Fire Bob and hire whoever made this video. There's got to be someone who does impressions or "voice overs" who could do John's voice for a dub over of the rest of the players names. With John Ward you didn't need to the see game for the images. He gave it all the color needed to be there court side or in Neyland. The true GOAT. 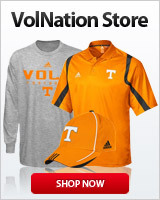 I have to admit that “ money “ is one of the things that keeps me listening to the vol network. Burt saved us on the basketball side of the broadcast. GBO !! Come on, Bert is great! Nothing like JW, though. No one is, was, or will be. I find the "money" call to be annoying. I had to listen to the Alabama game on the radio since I was traveling and hearing "money!!" all the time drove me nuts. He only says it for 3s so it not like it’s on every play. I enjoy Bert enough to listen even when Im able to watch. He gets excited and makes the game sound interesting. Bob shows more emotion for b-ball too. I can’t stand the TV announcers. I am sure I annoy the neighbors when I yell MONEY! right after Bert does. That was really good. Wish he was still here. Coach Z thank you for this post! Quality!